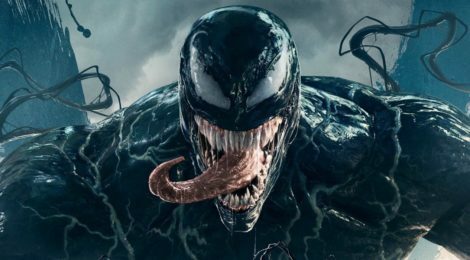 Movie Review - Venom - Honk if you love justice! I actually saw Venom not long after it came out, and I’m a bit amused at how well it’s done. It is a deeply weird movie. At times feels like half of it is missing. Why does the symbiote decide to “help” Eddie Brock save the Earth? It must not matter, because they don’t tell us! One thing I have trouble getting past is having Venom with no connection to Spider-Man. I get that Sony wants desperately to have a whole movie franchise, but this still feels like the wrong play. But here we are, so is it any good? NO! That doesn’t mean there’s not fun to be had. Tom Hardy has a sort of goofy charm as Eddie Brock when he’s not mumbling his lines. Riz Ahmed is obviously having fun as the over-the-top Elon Muskish villain. Michelle Williams has the thankless task of love interest/lawyer Anne Weying, who dumps Eddie after he steals info from her on the villainous Carlton Drake. The strangest character in the movie is, of course, the Venom symbiote. Not because he’s a terrible man-eating monster (as seen on the right), but because he’s kind of a wise-cracking partner for Eddie. The folks that listed Venom as a buddy cop movie weren’t far off. 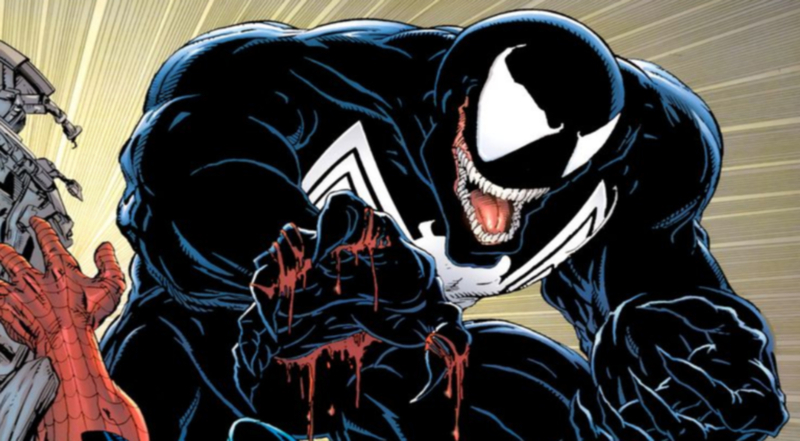 It’s almost funny enough that you’d forget that the only way Venom doesn’t kill Eddie’s body is if Brock lets him eat people once in a while! Look, I wasn’t expecting high art, and I was entertained. I laughed a lot, but only half of it was probably supposed to be funny. I *CANNOT* wait for Rifftrax to get a hold of this.